Comments: Brand new. Standard delivery takes 7-12 business days by USPS media mail with tracking number. We also ship to PO Box addresses but by Standard delivery and shipping charges will be extra. Customer satisfaction guaranteed and please feel free to contact us for any queries. Comments: Quality checked pre-owned articles. Edition in excellent condition. Comments: The cover has visible markings and wear. The pages show normal wear and tear. Fast Shipping-Safe and Secure Bubble Mailer-From New Hampshire! 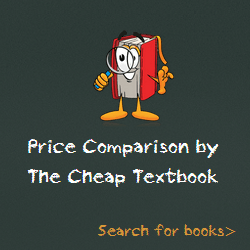 This entry was posted in Book and tagged 1422189856, 978-1422189856, Top Textbook 2018 on January 9, 2018 by Textbooks.